Please congratulate any of our Lady Viking Wrestlers when you see them today. This past weekend these ladies took 3rd place as a team in the tournament. We only had 4 out of 10 weight classes, but the 4 Varsity spots all took home medals to help the team points beat out 18 other teams. These ladies are set to repeat for a district title. Last night the Lanier Viking Wrestling team hosted the Leander Glenn Grizzlies for our final home dual of the season. The boys faced tough wrestlers, Chris Solorzano, Obed Vargas, Jesus Sierra and Kelvin Medina all wrestled tough matches. Roderick Ellison pinned his opponent in the second round to add another win to his stout record this season. The Lady Vikings came out and won their dual as a team, Leilah Jimenez, Krista Hollins, Jamaria Washington, Katherine Aguilar, Koda Camarena all wrestled tough to pick up wins. Angie Miranda continued her dominant season and pinned her opponent. Senior Isabella Llamas came out to prove why she is ranked top 10 in the state. She went up a weight class to take on an opponent 15 lbs heavier. That did not matter as Bella picked up a dominating victory by shutting out her opponent to pick up a technical fall 16-0. 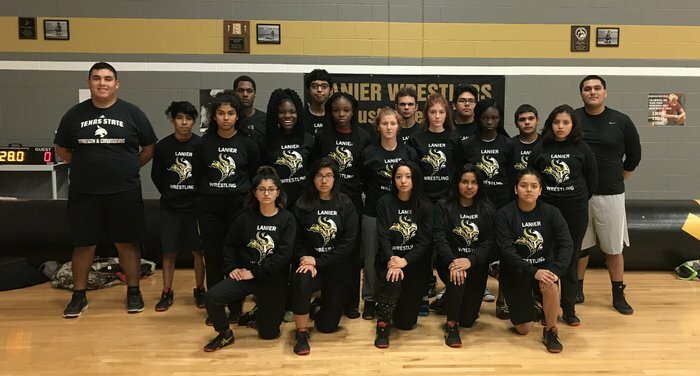 This past weekend the Lanier Viking Wrestling team went to battle at the Craig T Grace Centex Tournament which included 53 of the best 5A and 6A teams across the state. Three boys entered the tournament, Jesus Sierra and Chris Solorzano got some much needed mat experience and wrestled good matches. Captain Roderick Ellison battled through a leg injury to make it into the semi finals and finished a 4-2 record on the weekend. 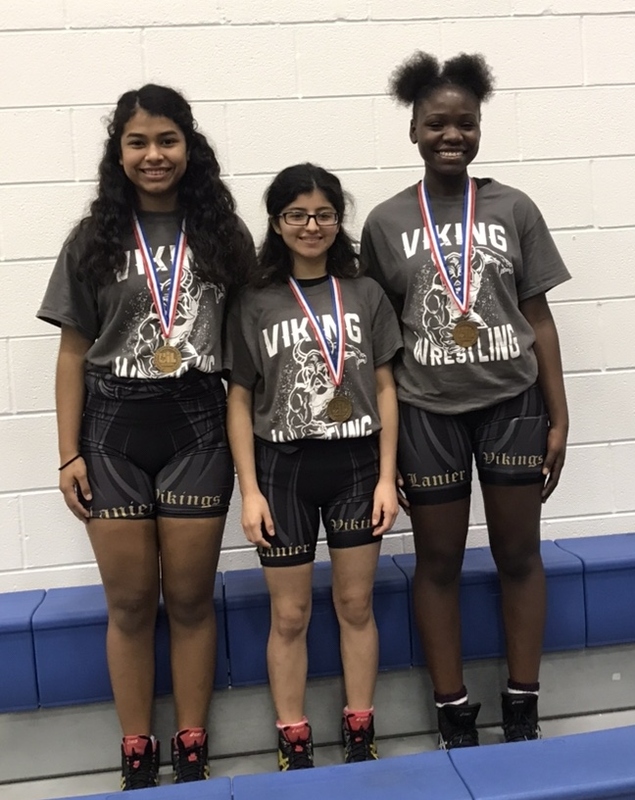 Four girls wrestled, Kyara Zacarias and Captain Leilah Jimenez wrestled tough competition and picked up a pair of wins. Captain Angie Miranda showed grit to come from behind a couple times to finish in 4th place out of 32 in her weight class. Isabella Llamas proved why she is a state qualifier and pinned all of her opponents to make it into the championship match. She took a tough loss against another returning state qualifier to finish 2nd in the tournament. Please come out and join us for our Senior night this Wednesday at 6:30pm as we take on Leander Glenn.